At Saipan Seventh-day Adventist Clinic we enjoy having patients of all ages. 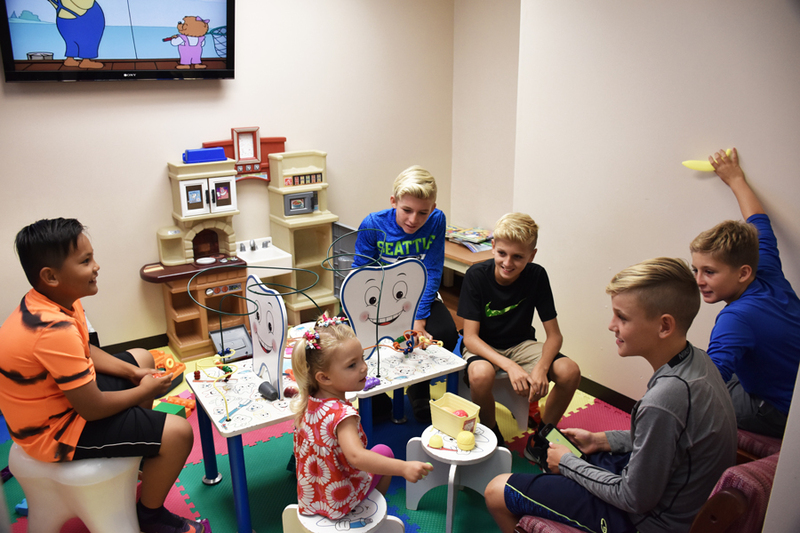 Pediatric dentists promote the dental health of children as well as serve as educational resources for parents. It is recommended by the American Academy of Pediatric Dentistry (AAPD) and the American Academy of Pediatrics (AAP) that a dental visit should occur within six months after the presence of the first tooth or by a child’s first birthday. This is because early oral examination aids in the detection of the early stages of tooth decay. Early detection is essential to maintain oral health, modify aberrant habits, and treat as needed and as simply as possible. Additionally, parents are given a program of preventative home care (brushing/flossing/fluorides), a caries risk assessment, information on finger, thumb, and pacifier habits, advice on preventing injuries to the mouth and teeth of children, diet counseling, and information on growth and development. In additional to regular well-child dental checks, head start exams, and routine cleanings, General Anesthesia appointments are available on a case by case basis for more extensive treatment needs. Make an appointment today for your Childs future health.